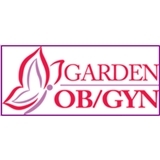 Garden OB/GYN (New York) - Book Appointment Online! Garden OB/GYN is a group of health care professionals dedicated to YOU. We are committed to caring for you with empathy, compassion and an emphasis on education.Compassionate and quality medicine defines the mission we practice at all of our Garden OB/GYN locations. Our team of physicians use state-of-the-art equipment, and through our many professional affiliations remain abreast of cutting edge technology and medical research. We utilize minimally invasive surgery, high-resolution ultrasound imaging, preventive women's health techniques, and management of both high risk and normal pregnancies to provide comprehensive care for women of all ages, all while maintaining a personal touch. *REMINDER: Demographic Information MUST be completed for an appointment to be confirmed on your behalf! You MUST bring your INSURANCE CARD and PHOTO ID to your appointment. Had a morning appointment and was seen very quickly (previously waited over an hour for an evening appointment, but I guess that's to be expected). Medical assistant was great, the doctor was friendly and helpful but a bit rushed.